Don't miss the Henry County Fair, its going to shock you! While you may have heard some buzz about the Henry County Fair festival you will want to read some of the facts that make it one of the most loved events in the greatest city in the nation! Read below for the top 8 reasons you don’t want to miss out on the fun and excitement at this great event! We are a family oriented agricultural county fair. 4-H and Junior Fair are a big part of our fun event. The Henry County Fair is a great place to come together with family and friends. We hope you can come and take the time to enjoy our fair. 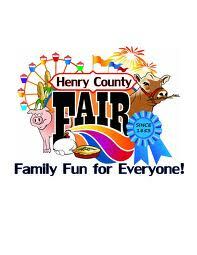 The Henry County Fair festival is a 7 day celebration with events starting on August 8-14, 2014 and is one of the top rated festivals in Ohio this summer!